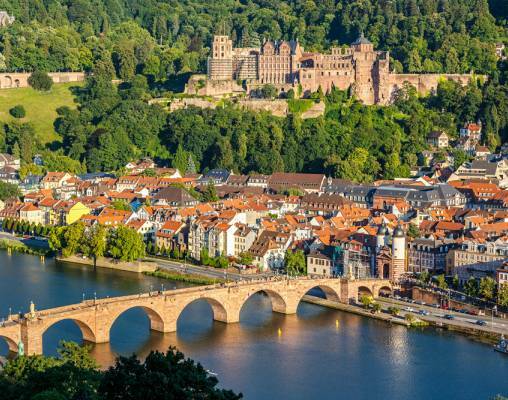 Discover two of Germany's most picturesque regions on this fantastic two-centre holiday. 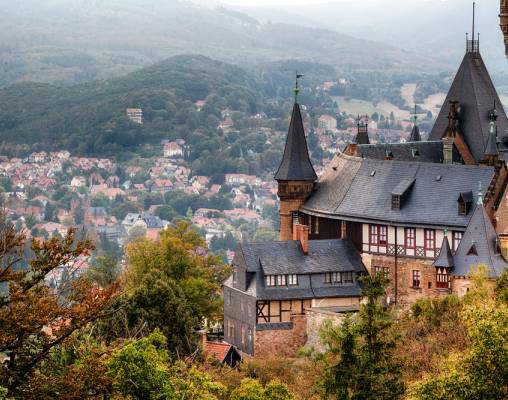 We explore the half-timbered villages and stunning peaks of the Harz Mountains by heritage railway before visiting the stunning Rhine Gorge, where the legendary Lorelei Rock still casts its spell. Today we continue across Germany by high-speed rail, traveling in First Class to Hanover. Here, we meet our coach which takes us on a journey through the brooding Harz Mountains. The low-lying mountains surround a rivercarved landscape, where rushing streams wind through the rich green forests, and rugged rocky outcrops rise up towards the towering mountain peaks above. Today we travel by coach to Alexisbad in order to board the excellent Selketal Railroad to Gernrode. 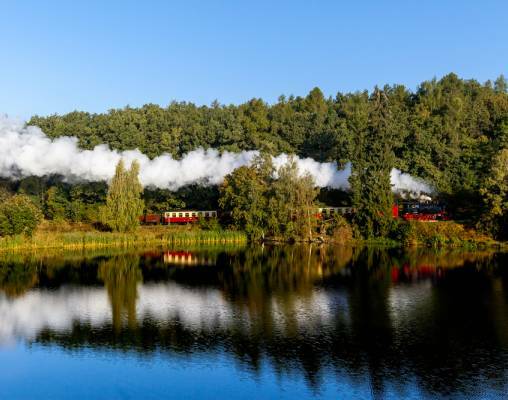 This charming train makes its way through the dense forests and past the gentle streams, granting special views of mysterious fairytale landscapes. Today we take the short walk to the riverside to join a boat for the journey along the River Rhine through the prettiest and most celebrated section of the Rhine Gorge. Ancient castles peer from the top of the green banks, as we pass the imposing Lorelei Rock, a legendary rocky outcrop that soars 150 metres above the water line. 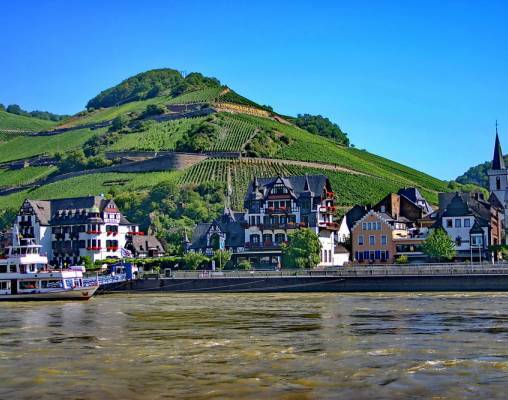 We arrive in the riverside resort of Boppard, one of the region's great wine producers. 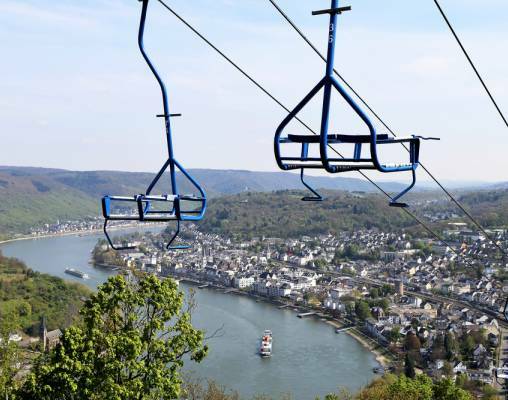 We enjoy some free time here and a chance to sample some of the fantastic local wines and enjoy a stroll along Boppard's delightful riverside promenade. There is a good choice of restaurants here for lunch. The 4-Star Superior Rheinhotel Bellevue in Boppard enjoys a fantastic location alongside the Rhine. The hotel benefits from a restaurant and bar, whilst leisure facilities include a sauna, fitness center, games room, spa and wellness center - including an indoor swimming pool. 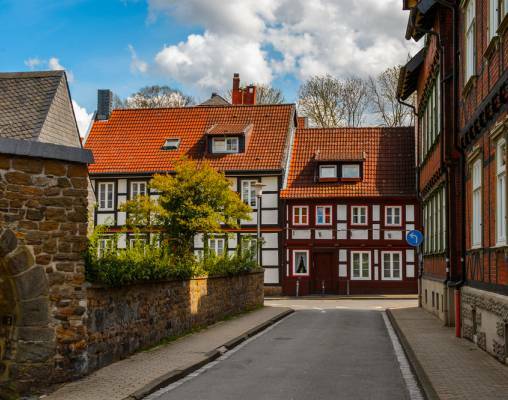 In Wernigerode we stay at the 4-Star HKK Hotel Wernigerode, located close to the railroad station and within walking distance of the quaint Old Town and marketplace. From here the narrow-gauge railroad network, Harzer Schmalspurbahnen is just a short walk away. The hotel's facilities include a restaurant, bistro, three bars, sauna, steam room, whirlpool and fitness equipment. The modern rooms feature a telephone, television, radio and a hairdryer. The HKK Hotel Wernigerode is very popular with Great Rail Journeys' customers and won awards for Food in 2010 and 2012, and our Gold Award for its outstanding customer service in 2011, as well as a Bronze Award for overall best hotel in Germany in 2013. The Brocken is the highest peak in the Harz Mountain range located in central Germany. A branch railroad line connecting the Brocken to the Harz Mountains' existing narrow-gauge railroad was proposed in 1869, but it was not until 1899 that the eighty-kilometre track was declared operational. Damaged as a result of bombing and mortar fire in the Second World War, the Brocken Railroad was reopened following repair in 1949, but during the subsequent division of Germany into East and West the Brocken became a military base, its railroad used only for the transportation of supplies. It was only after the historic reunification of Germany in 1990 that the train was returned to public use, and since 1992 passengers have once again able to make the spectacular rail journey, hauled by steam locomotive, to the summit of Brocken where they are rewarded with breath-taking panoramic views of the Harz Mountains National Park before them. 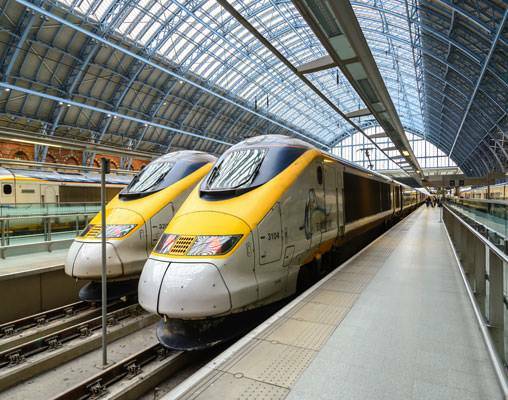 The high speed Eurostar trains link St Pancreas in London with Paris and Lille in France as well as Brussels in Belgium. For the class of travel used on your chosen tour, please refer to the 'What's Included' section of the tour page. Named after the famous British express service, InterCity trains are long-distance services operating in a variety of different countries, such as Germany, Switzerland and Austria. InterCity trains are distinct from Inter City Express (ICE) and EuroCity services in that they operate on domestic routes within country borders. This quaint railroad is arguably the region's best-kept secret. The route ascends into the Harz Mountains through a varied landscape. This metre-gauge railroad was dismantled by the Soviets at the end of World War II, but was then subsequently rebuilt as far as Gernrode in the post-war years. With reunification the Selke Valley Railroad, or Selketalbahn, was acquired by the Harz Mountain Railroads and the line finally extended to Quedlinburg, allowing greater tourist access to this nostalgic journey through dense forests and mountains. Thalys is a brand co-owned by German, Dutch, French and Belgian state railroads, and runs rail services linking Paris and Brussels with Amsterdam or Cologne. The trains are similar in design to French TGVs and can reach up to 190mph (305km/h) when traveling on dedicated high speed lines. Comfort 1 (First Class) passengers benefit from spacious seating and are usually served complimentary light refreshments once underway. Both Comfort 1 and Comfort 2 (Standard Class) passengers have access to the Thalys Bar, which serves a selection of snacks, meals and hot and cold drinks during most journeys. Enter your details below if you would like to be notified when 2020 dates and prices are available for Harz Mountains & Rhine Gorge.